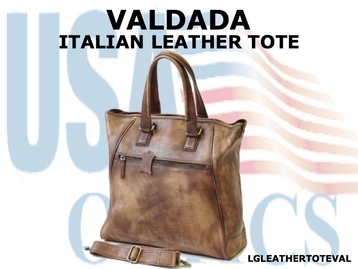 This gorgeous looking leather Tote is perfect for your gear, smaller shopping items and plenty of room to spare. 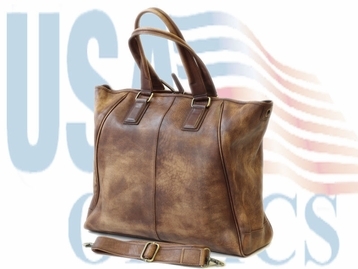 Stylish leather handles and quick detach shoulder strap makes it easy to carry. Front large zippered pocket with a nice leather tab adds to the bags good looks. 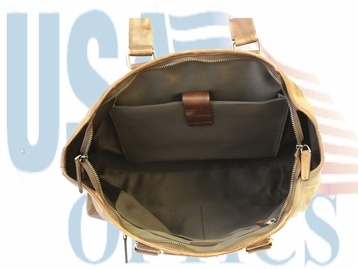 Beautifully lined interior with several pockets and compartments to keep everything organized.